What is Microsoft SharePoint Online? Microsoft SharePoint Online is a collection of cloud and web-based technologies that eases storage, sharing and managing information within an organization. How to open file from SharePoint 2013 hosted on premise? When I put the URL in the SharePoint option it says 'URL Invalid'. To open a file from SharePoint online, please make sure that the URL does not contain the full path to your file you want to open. The URL must be only the link to your SharePoint site. How do I open a project from SharePoint Online? 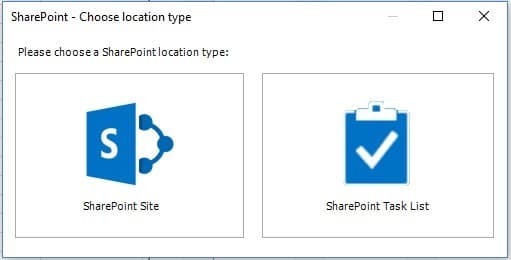 To connect to SharePoint Online you need to go to File - Open - SharePoint, choose SharePoint Site, enter the URL address of the SharePoint site, authenticate with your Microsoft account if not authenticated, select the desired project and click Open. 1. 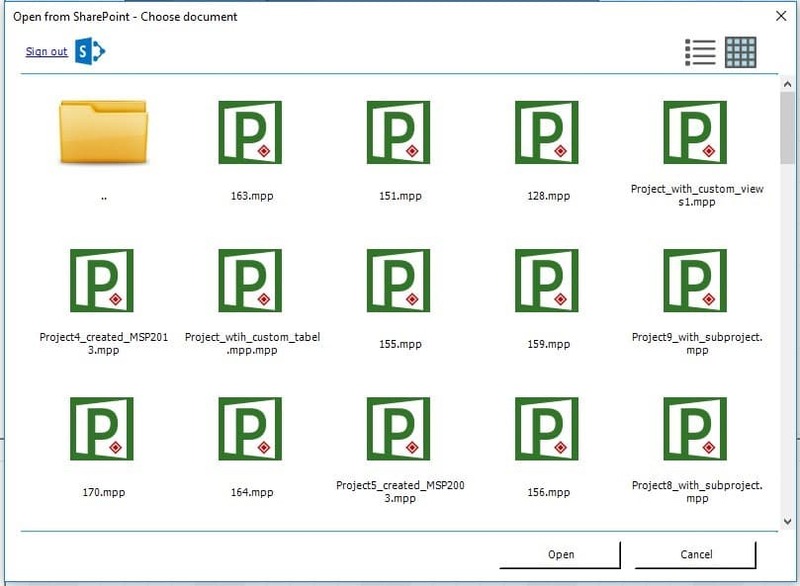 Go on File menu – Open - SharePoint. 3. To access a project plan from SharePoint, you need to enter the URL address of the SharePoint site. 4. 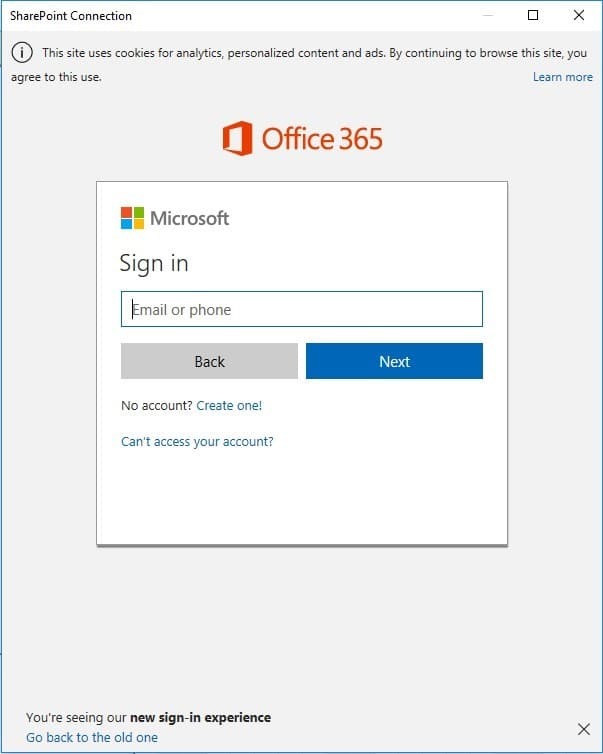 After this, a communication with SharePoint site will be established and you will be required to type the user and password in the log in window. This step will be skipped automatically if the user is already authenticated. 5. 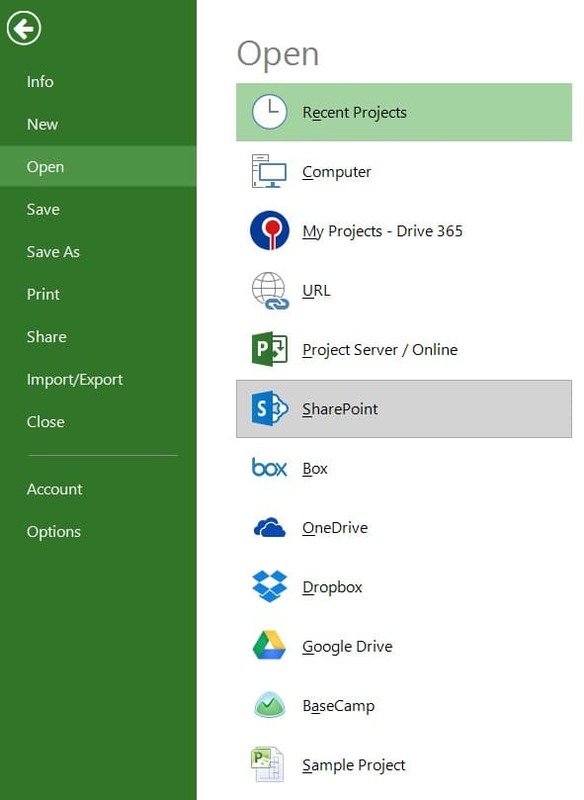 Once the connection is established, a list of projects available on SharePoint will be displayed, from where you can choose the project you want to access. To open it with the application, click on Open button.